Thank you for taking the time to visit our site. 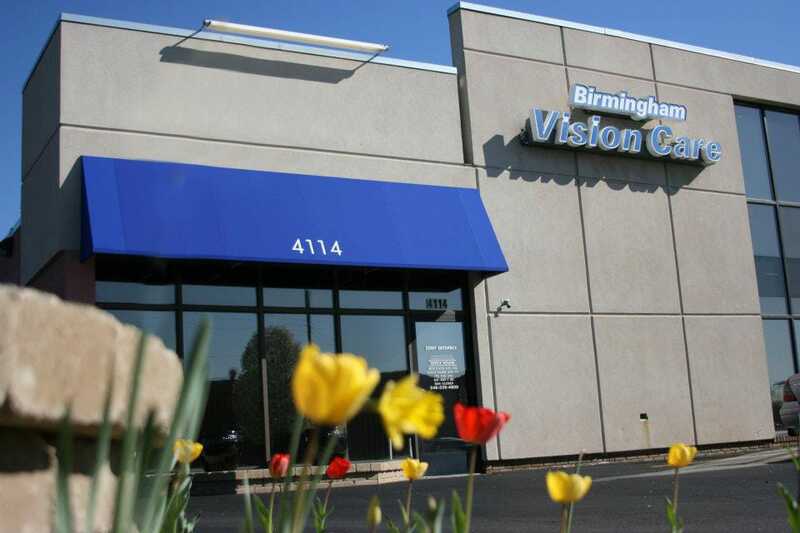 We are confident you will find the care and expertise you need here at Birmingham Vision Care. Our experienced doctors and staff will help you achieve and maintain clear vision by using the latest technology and processes to check the health of your eyes and the quality of your vision. Our patients come from all over Oakland, Macomb and Wayne counties to access the best in eye care services at our state-of-the-art Bloomfield Township facility. Our staff offers comprehensive vision examinations to all ages and specializes in the diagnosis and treatment of a wide array of eye diseases, conditions, and problems. As part of our comprehensive eye exam we determine our patients need for prism, this is useful in the treatment of binocular disorders and patients who have trouble with eye alignment. For more information you can visit the Vision Development Center. We also offer a wide variety of fashionable frames and many types of contact lenses. 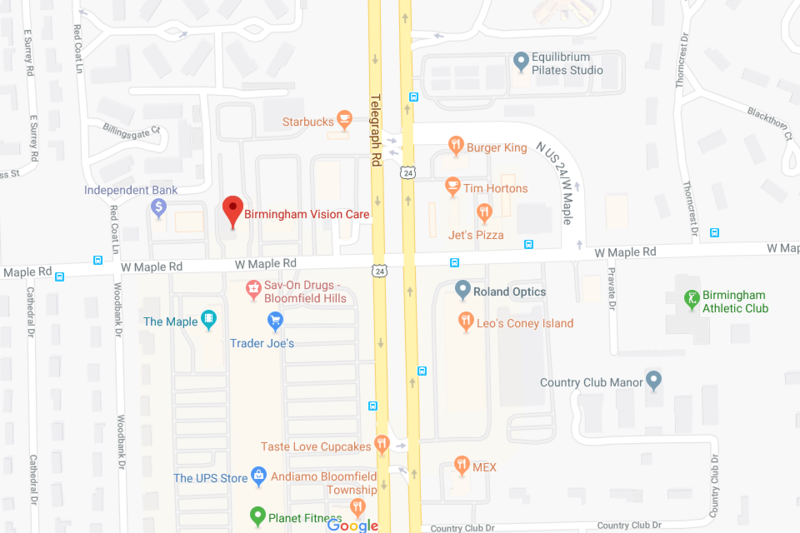 We look forward to meeting with you and discussing how we can help you and your family achieve and maintain great vision and overall eye health. “Excellent Care and Service. As a Type 1 diabetic vision care is very important and I always feel that Dr. Pelton and the team at Birmingham Vision Care are looking out for me.” – Dan L.
“Most comprehensive eye exam I have ever had.” – Elaine Y. “You all get 100% picked out my new frames in 10 Minutes. Tests on my eyes 100% then to Dr. Poma 100%! 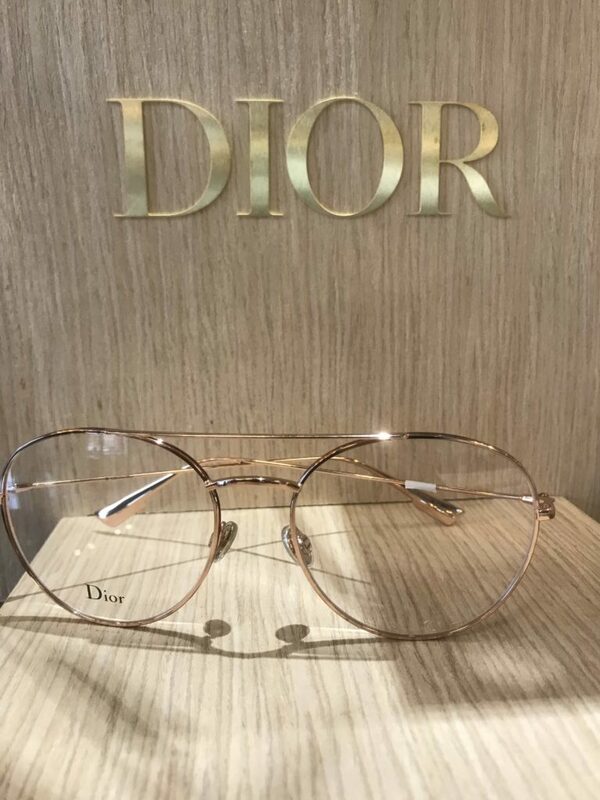 !” – Frances S.
In the market for new frames? Each month, our office showcases a different "Frame of the Month." Get to know our selection and the all the options we have to offer. Metals are back! This retro-chic frame is featured in rose gold. Use our online appointment form to request a day and time that works best for you.